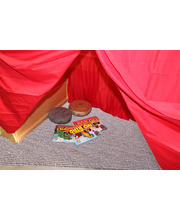 Create many different play scenes. 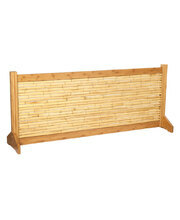 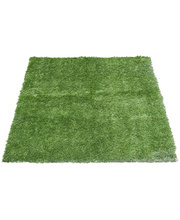 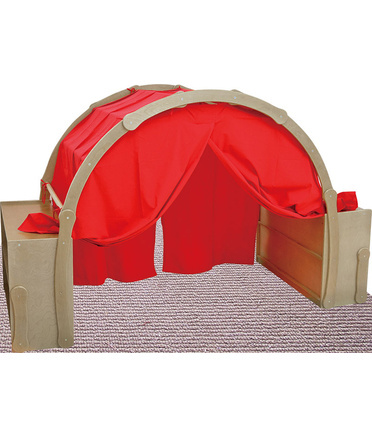 A very versatile and favourite multifunctional play piece to allow children to develop their imagination. 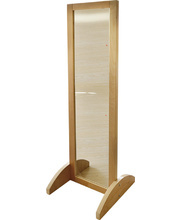 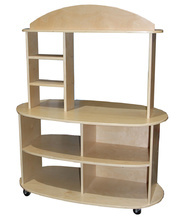 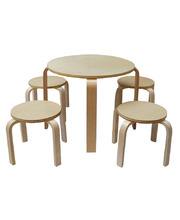 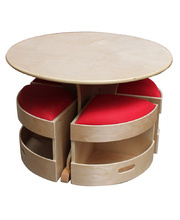 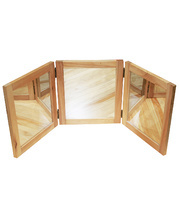 Made from Birch Ply, use the complete unit to create a cosy cubby, cave, or a quiet reading corner. 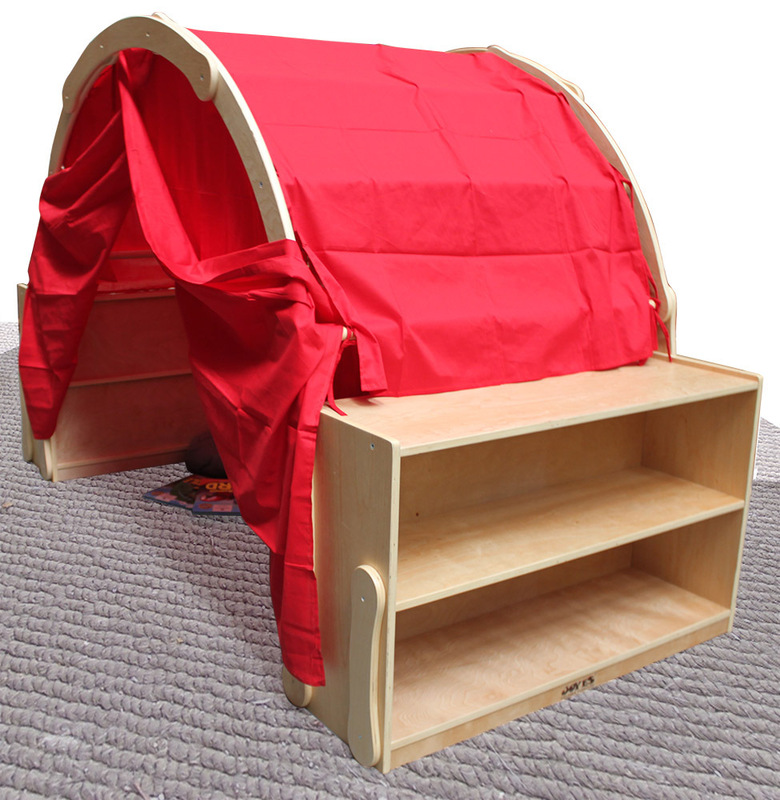 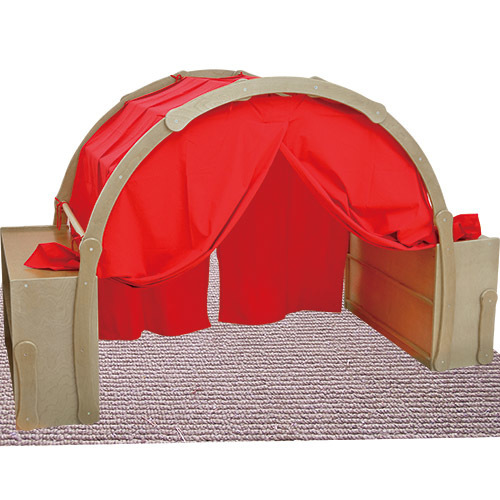 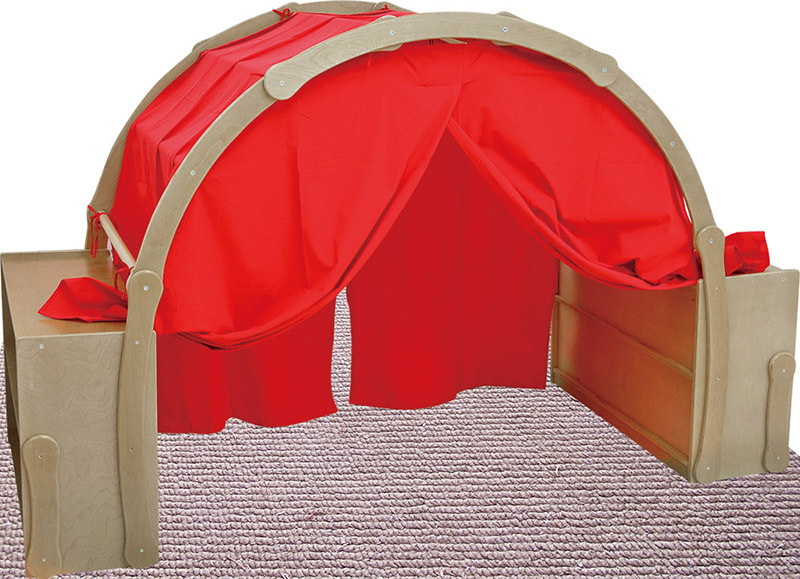 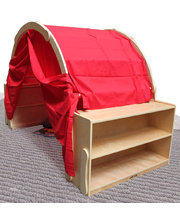 Alternatively roll back the curtain/s over the storage unit to use as a shop, library, kitchen or puppet stand! 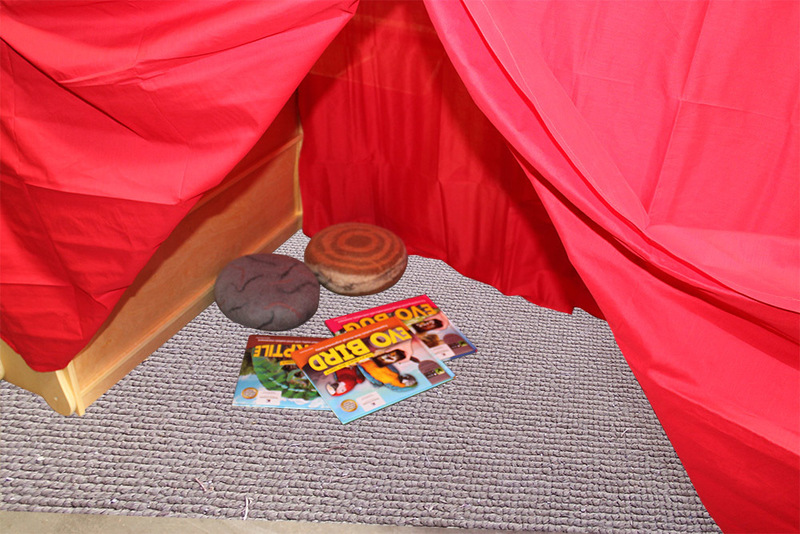 There are endless possibilities for creative play. 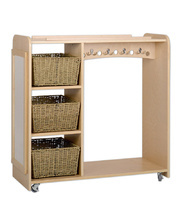 The storage units on either end can also face inwards to save floor space or for access when inside such as when using as puppet stand.